We take a look at another business participating in Small Business Saturday this Saturday, November 28th. Whether you’ve been oil painting for 20 years or looking to explore a new creative activity, Hyatt’s – All Things Creative, 8565 Main Street should be your partner every step of the way. Hyatt’s has been a mainstay on Main Street since 1971. 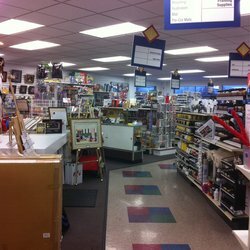 You can’t help being inspired walking into the store seeing all the art supplies that suite artists of every skill level. Paint, brushes, easels, children’s supplies, sign-making services and so much more. The Hyatt’s staff are always friendly, helpful and knowledgeable. The store also offers numerous art classes throughout the year. SMALL BUSINESS SATURDAY DEAL: spend $50 on Hyatt’s Gift Cards, receive $10 for yourself in Hyatt’s cash. They will also be a location to get your passport stamped to be eligible for the Main Street Clarence Gift Basket valued at over $500.